The ratio of the fluid resistor values determines the split ratio. This ratio is calibrated within a +/- 10% tolerance range, assuming that there is no pressure drop down stream from the splitter. Input flow rate may be adjusted to compensate for variation within tolerance. For example, a 10% increase in input flow rate will yield a 10% flow increase at both high and low flow channels. The pressure drop specification for all input flow ranges is 500 PSI maximum with water at the calibration flow rate. When ordering, please specify the actual inlet flow rate if it is significantly different from the default calibration flow rate. Split between 2 or more detectors such as mass spec and evaporative light scattering, UV, or IR. This is especially important when one of the detectors is destructive, such as Mass Spectroscopy and ELS. Reduce the flow rate from the column to a lower flow rate that the mass spec can work efficiently at. Chromatography methods are often using flow rates of 0.5 to 2 mL/min., which are too high for most mass spec. Flow splitting is a way to reduce the flow rate down to flow rates suitable for the mass spec. Although there are pumps that can deliver flow rates low enough to be compatible with mass spec, many practical reasons prevent Chromatographers from changing methods that are already proven to work at higher flow rates: reluctance to change to a different column from one that is familiar and accepted; FDA regulations and S.O.P’s that make any changes in methods burdensome; the ease of operation at higher mL/min. flow rates compared to µL/min. flow rates. Flow splitting allows the chromatographer to take a proven method that works at higher flow rates and quickly integrate mass spec or multiple detectors without re-developing the method. Unlike conventional splitters that use long lengths of capillary tubing, the ASI QuickSplit Adjustable Flow Splitter uses fluid resistors to achieve a wide range of split ratios. 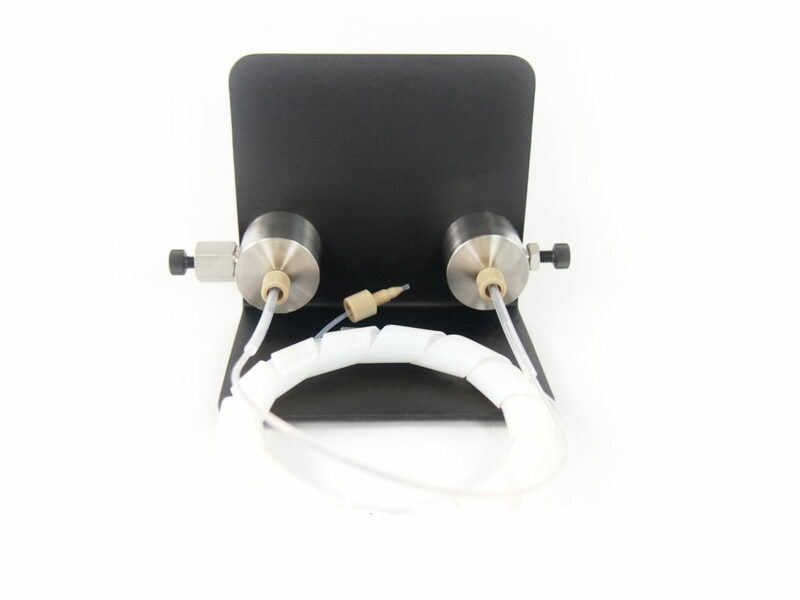 The Adjustable Flow Splitter contains two fluid resistors that form parallel flow paths. The low flow rate stream passes through a fixed resistor cartridge, while the high flow rate stream passes through an adjustable fluid resistor (metering valve). The ratio of these two resistors creates the split flow ratio. 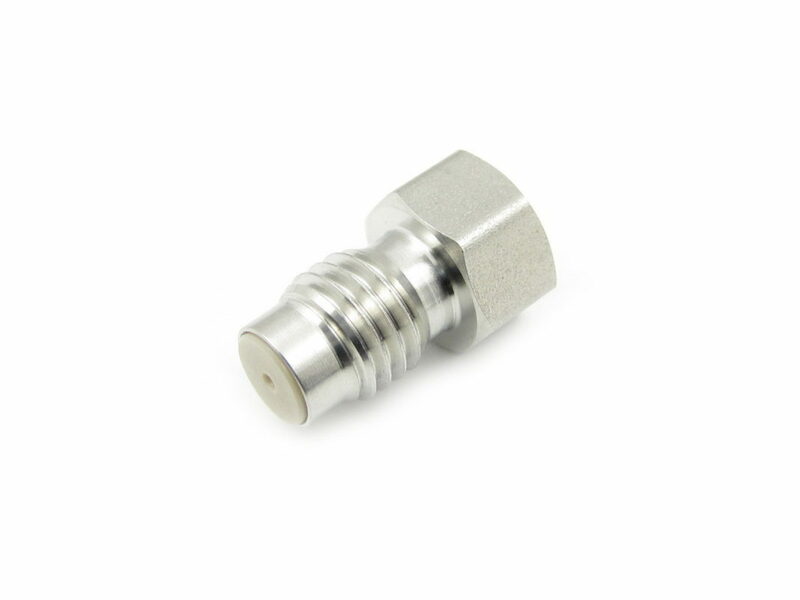 Because the Adjustable Flow Splitter incorporates a metering valve, split ratios may be adjusted by a factor of 20 (i.e. : 1:1 to 20:1) by simply turning a knob. This variable split ratio can be used with a fixed inlet flow to adjust low split flow rate by a factor of 10 (i.e. : 10 µL to 100 µL/min.). If a fixed low split flow is desired, inlet flow range may be varied by a factor of 10 (i.e. : 0.5 mL to 5 mL/min.). Due to the rugged design, the split ratio repeatability is +/- 2% of setting, and unlike alternative splitter valves or tees, WILL NOT be affected by actions that effect inlet flow such as turning the pump off and on, or pressure spikes. Reduce the flow rate from the column to a lower flow rate that the mass spec can work efficiently at. Chromatography methods are often using flow rates of 0.5 to 2 mL/min., which are too high for most mass spec. 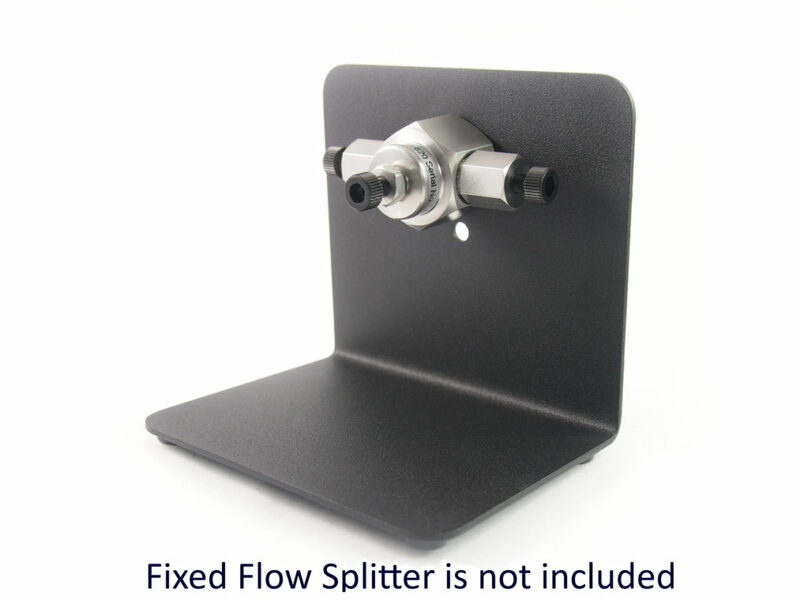 Flow splitting is a way to reduce the flow rate down to flow rates suitable for the mass spec. Although there are pumps that can deliver flow rates low enough to be compatible with mass spec, many practical reasons prevent Chromatographers from changing methods that are already proven to work at higher flow rates: reluctance to change to a different column from one that is familiar and accepted; FDA regulations and S.O.P’s that make any changes in methods burdensome; the ease of operation at higher mL/min. flow rates compared to µL/min. flow rates. Flow splitting allows the chromatographer to take a proven method that works at higher flow rates and quickly integrate mass spec or multiple detectors without re-developing the method. The QuickSplit AS650 Automated Flow Splitter finally takes the guess work out of flow splitting. Push button control eliminates the need for tedious adjustments and flow measurements for flow rates as low as 100 nL/min. 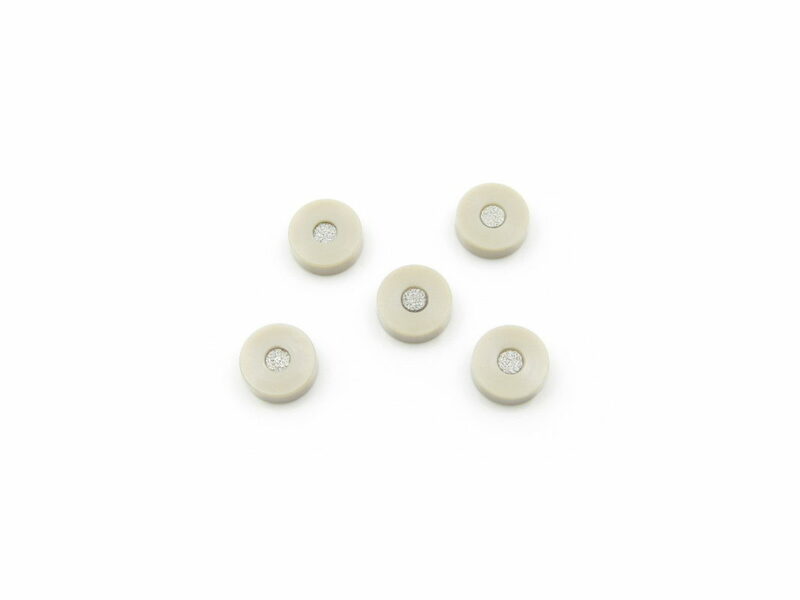 The AS650 is compatible with all HPLC systems and connects with standard chromatography fittings. The modular design of the AS650 allows the unit to be used in a plug and play fashion. 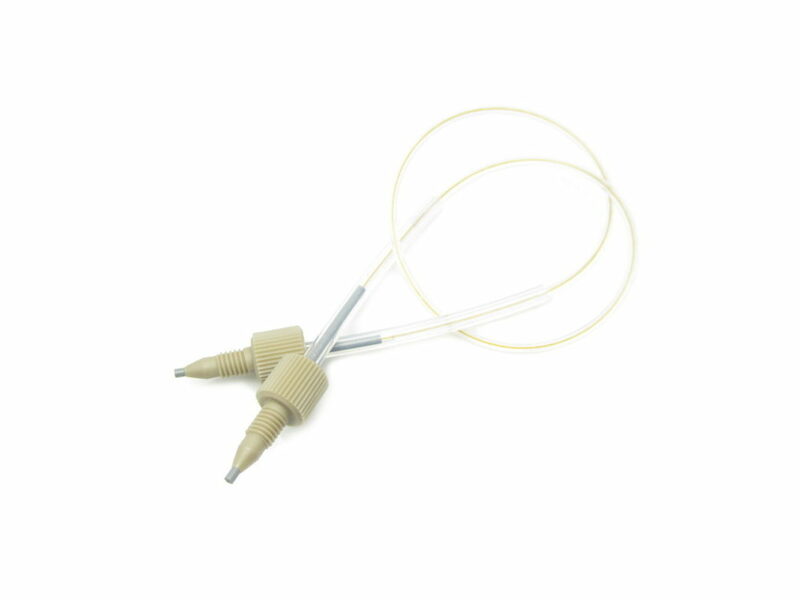 The autosplitter connects to any HPLC system between the pump and autoinjector. Once connected, the AS650 will deliver programmed split flows ranging from 100 nL/min. to 250 µL/min. If your applications calls for a return to analytical flow rates, simply disconnect the unit and return the HPLC system to normal operation. 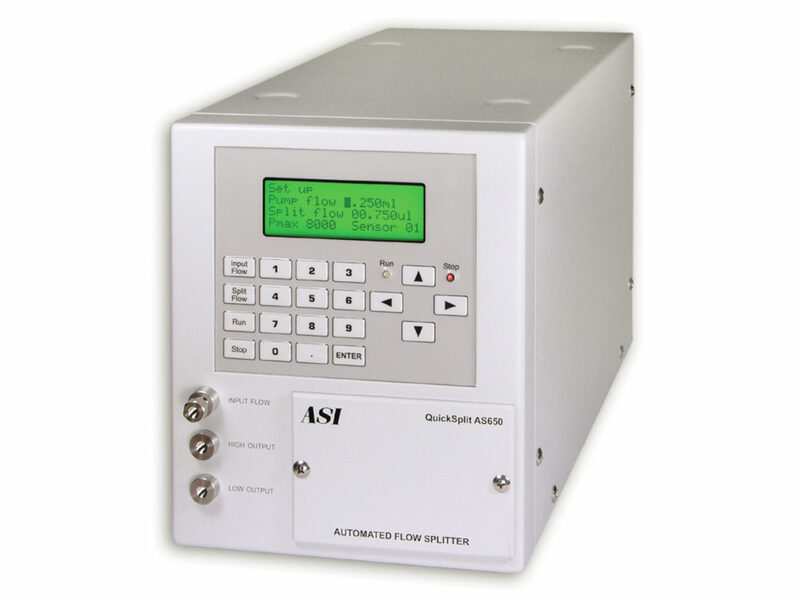 The AS650 is the first fully automated modular flow splitter for HPLC and LC/MS. The AS650 is a convenient and cost effective way to convert any HPLC System to deliver nanoliter and microliter flow rates. Inlet and outlet flow rates are digitally set on the user interface, an alpha numeric keypad, and a 4 line LED displays inputs and status. 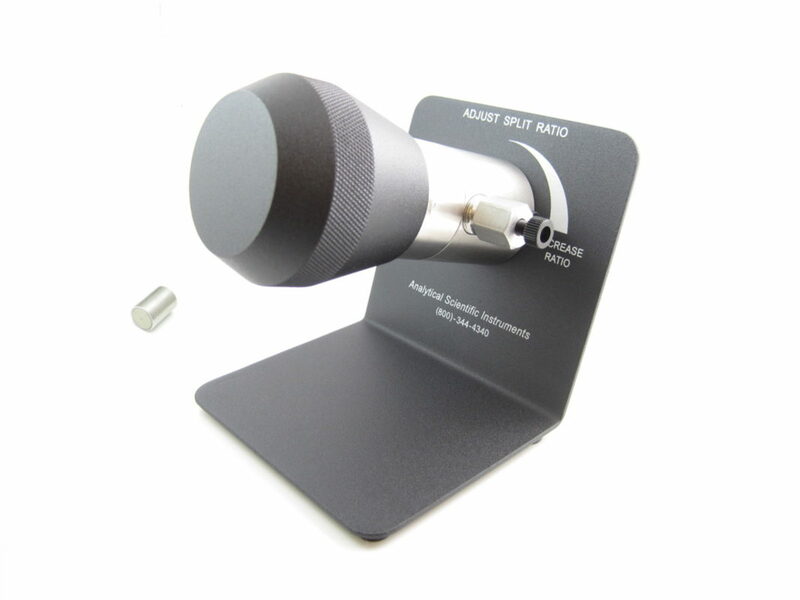 Windows software provides real time pressure and flow rate outputs displayed on your PC. Because the AS650 dynamically compensates for any pressure changes which occur downstream from the device, it is possible to use the instrument in a pre-column split mode and maintain a constant split ratio and flow rate during gradient HPLC. Split ratios are stable and not effected by pressure fluctuations generated by mobile phase viscosity changes during gradient HPLC. This feature makes the AS650 ideal for separating proteins, peptides, and small molecules by capillary LC/MS. Since equilibration time is determined by the HPLC system flow, automated split control also minimizes the long and tedious equilibration times associated with dedicated nano/capillary HPLC systems. This feature also makes the AS650 much less prone to flow rate errors associated with temperature fluctuations. The design of the AS650 is optimized to minimize delay volume and gradient distortion while maintaining a flexible layout of key components to accommodate a wide range of flow rate configurations. Although the AS650 is designed primarily for pre-column applications, it can also be used for post-column applications such as fraction collection. The addition of a Makeup-Flow Splitter can substantially reduce peak band broadening, while allowing a small portion of the outlet flow from a preparative HPLC column to be split off and then combined and diluted with a makeup-flow. The resulting makeup-flow is used by a detector, typically a Mass Spectrometer, UV, or other detector to trigger fraction collection from the remaining preparative flow. The split ratio of ASI Makeup-Flow Splitter is not influenced by the solvent composition – so reliable fraction collection is assured. 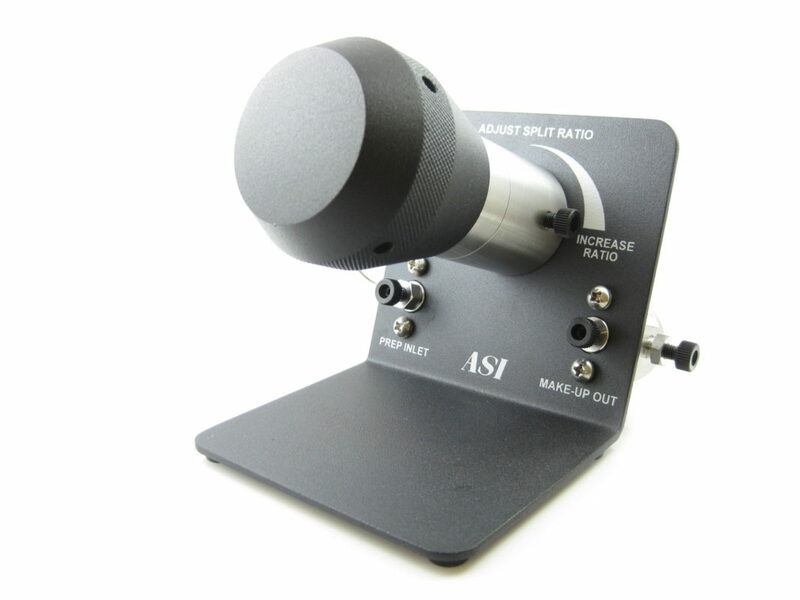 The ASI Makeup-Flow Splitter will continue working for years with minimal maintenance. 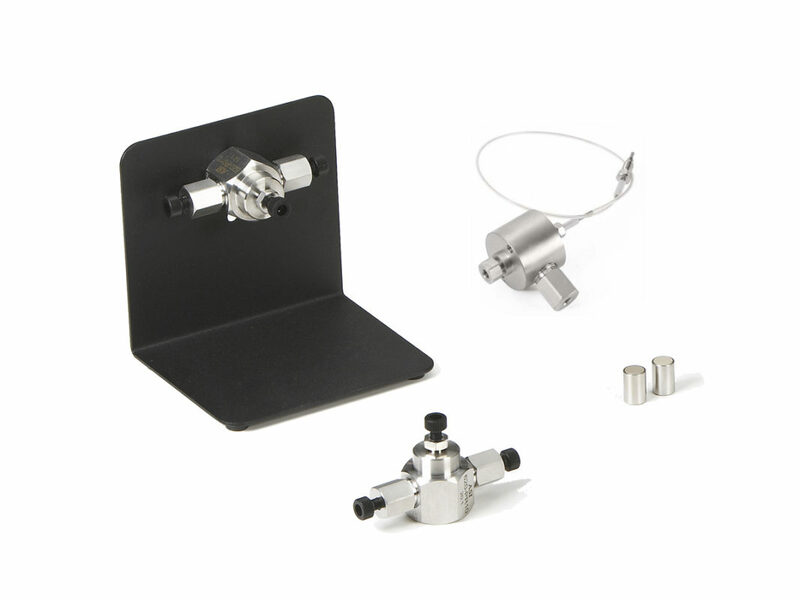 For these reasons the ASI Adjustable/Fixed Makeup-Flow Splitter is frequently used by major HPLC systems manufacturers for their splitter applications.